As a member of the College Volunteer Facilitator Corps, this summer I had the opportunity to return to what I like to call the happiest place on earth. 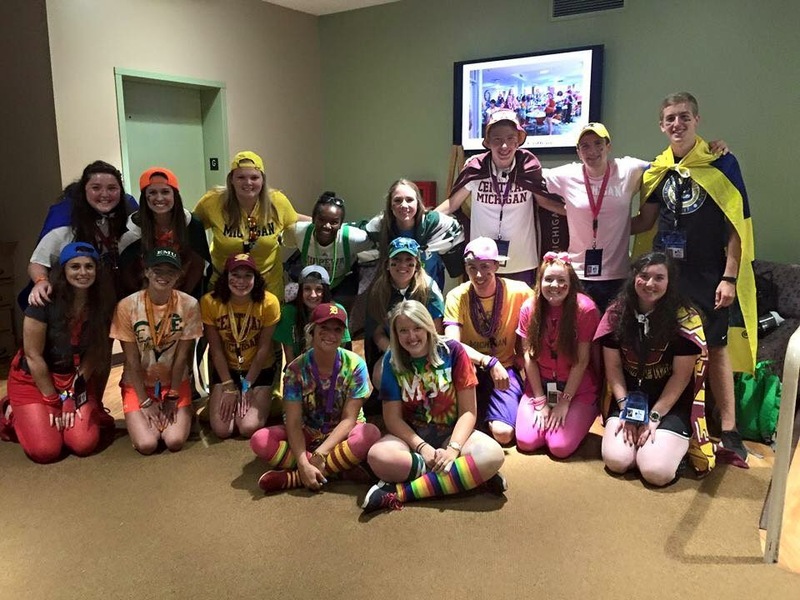 MASC/MAHS’s Summer Student Leadership Camp is an experience unlike any other summer camp. 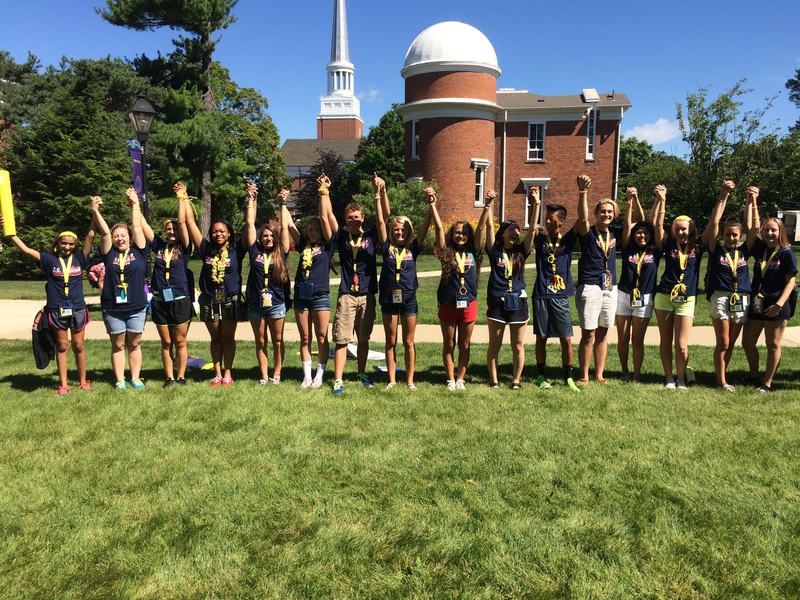 For just one week, student leaders from high schools all across Michigan come together at Albion College to learn more about leadership, step outside their comfort zones, and create new bonds and friendships with other student leaders. Camp creates a warm, friendly atmosphere where everyone is valued, accepted, and cared for, no matter what. There are three levels of camp: level one, level two, and level three (creative names, I know, right). Each level has a different leadership curriculum for students based on their camp experiences. Level one is for students who are attending camp for the first time, level two is for students who are attending camp for the second time, and level three is for students who are attending camp for the third and final year. Past and present CMU students at camp representing Central on college day. Each camper is placed into what we call a council. This council is comprised of 15-20 student leaders from all over Michigan, typically every student being from a different school. Also, each council has two staff members, a Junior Counselor (aka JC) who is a college student and member of CVFC and a Senior Counselor (aka SC) who is an adult with a college degree who is passionate about student leadership among adolescents. It’s hard to believe that just a year ago I was a camper myself, having no idea that this camp would absolutely help me find my purpose, develop goals, and shape me into who I’d always wanted to be. When I found out that I was selected to be a level one JC at camp this summer, I couldn’t contain my happiness. My heart was filled with love, and my passion for leadership was like rays of sunshine beaming off my face. I was going to have my own campers. I couldn’t wait to inspire them and watch them grow. 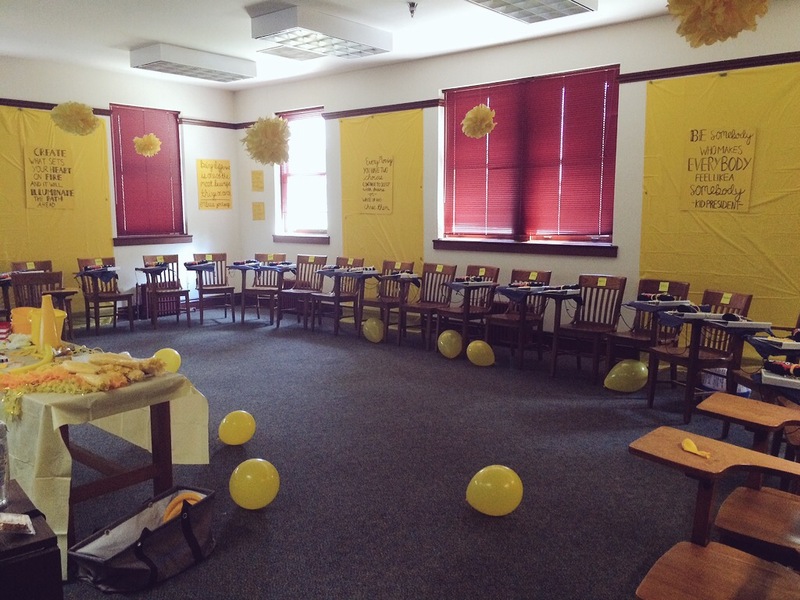 As soon as I found out that my council color was yellow, I went Pinterest crazy with ideas. 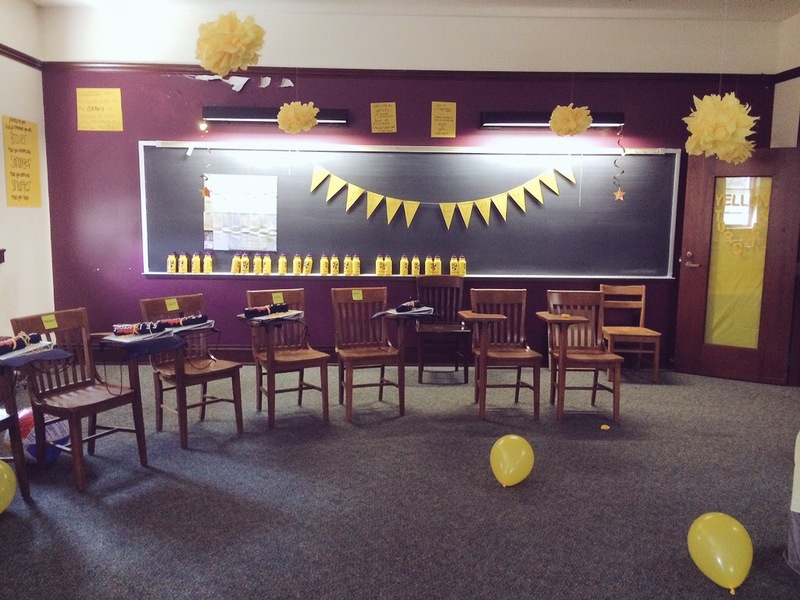 I planned cute yellow outfits and decorations for my council room. I couldn’t wait for the day that my campers arrived at Albion to experience one of the most life-changing weeks that they’ll ever have. My council room; the room where our council met daily and completed activities and reflections. The very first time all my campers were together as a group was heartwarming. They were all complete strangers and were able to connect with each other by working together to create a council name, mascot, cheer, and chant. 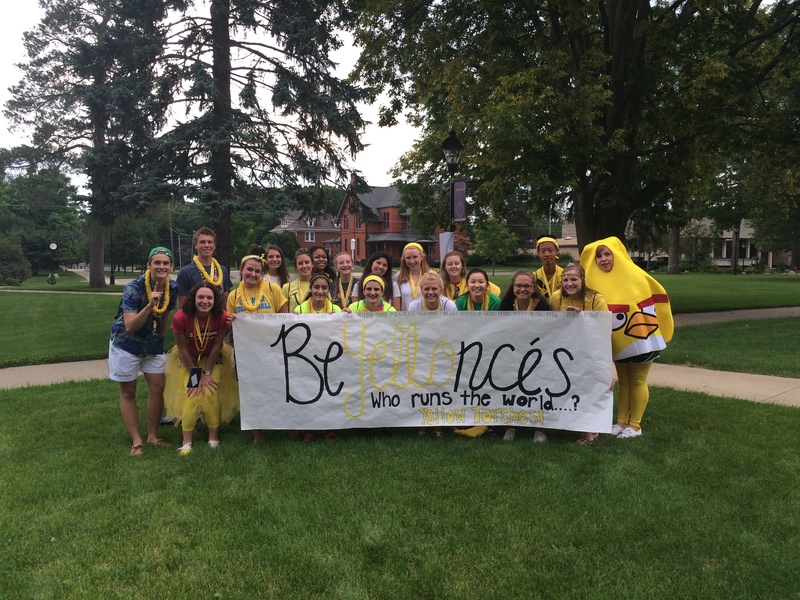 My campers named our council the Beyellonces, making Beyonce our mascot and adding in the “yello” for yellow torches. I knew at the end of day one that I had an incredible group of student leaders I was going to spend the rest of the week with. As the week continued, I challenged my campers more and more. I challenged them to think outside the box, leap outside of their comfort zones, and put their passions to action. My favorite part about camp was connecting with my 17 campers. Every single one of them was filled with love, passion, and a desire to change the world. I enjoyed listening to their experiences at school and their aspirations to continue to grow and BE better everyday. My Beyellonces will always hold a special place in my heart and I’m so proud of the leaders they are and the difference they make in their schools and community. 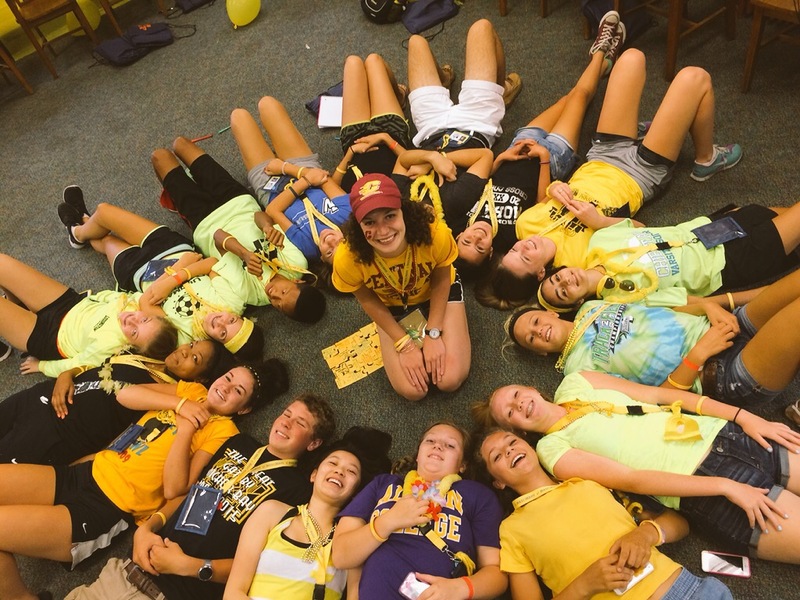 MASC/MAHS Leadership Camp changes lives and I’m grateful to be part of CVFC and the entire MASC/MAHS community.